Many organizations are perusing Six Sigma as an organization philosophy to improve process performance. Author by Nital Zaveri (ceo@sixsigmaconcept.com) Trainer and Consultant – Concept Business Excellence Pvt. Ltd. According to Motorola, the company who pioneered there are six reasons why leaders love Six Sigma. Six Sigma has generated bottom-line results for all types of organizations in hundreds of cases! How could cutting defects by 98% impact your business? One large technology, media and financial services company introduced Six Sigma and cut invoice defects and disputes by 98%, thereby speeding payment and improving productivity. The company also streamlined the contract review process, which led to faster completion of deals and annual savings of $1 million! Do you know how to get every individual in your organization focused on a common goal? Now that's a challenge in an organization of any size! Six Sigma provides companies with a common vehicle and language to frame business goals, focus organizational energy, and drive results. Its implementation involves building human capability with common approaches and tools to address business process issues. Leaders love Six Sigma because it helps their employees improve their performance and impact on the issues that matter most. Wondering how many Black Belts and Green Belts you need to be a "Six Sigma company?" Better to focus on the business improvements you need most, and determine how many projects you can manage effectively. A focused set of projects is the key to achieving improved business results! Leaders love Six Sigma because it can be applied to tackle a specific problem in a single department or to renew the entire business. Are you confident that the activities in your organization are properly prioritized and powerfully aligned with strategy? In today's demanding business environment, organizations need reliable management systems capable of aligning strategy and delivering breakthrough results. Leaders love Six Sigma because it drives focus on the results that really matter (the Big Y's) and on high-impact projects and activities (the sub-y's and little x's). Can you see how much opportunity for success is latent in every process in your business? Everyone knows that building competitive advantage requires consistently meeting and exceeding customer requirements for products, services, and prices. Leaders love Six Sigma because it recognizes that mastering process is the best way to accomplish this objective on an ongoing basis. Think Six Sigma is too expensive or risky for your organization? Not when the training provided for building organizational capability is directly linked to real-time improvement projects! Leaders love Six Sigma because it delivers financial returns that far outweigh the investments it requires. According to Dr. Mikel Harry, Six sigma is as perfect as you can in this world. Many organizations in India do not actually know who much they spend to build or maintain quality in their organization. Six Sigma is the initiative where you do not invest in quality, instead you invest in quality where it generates value for you or your customer. Six Sigma is truly a business initiative and not merely a Quality initiative. Increasing market competition and pressure to maintain cost of product will force most of the Indian organizations to reduce their internal inefficiency cost and pass on the gains to customers. 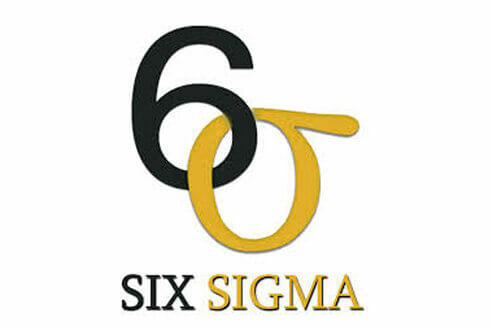 Six Sigma is the place where science, technology, quality, people and profitability meet.